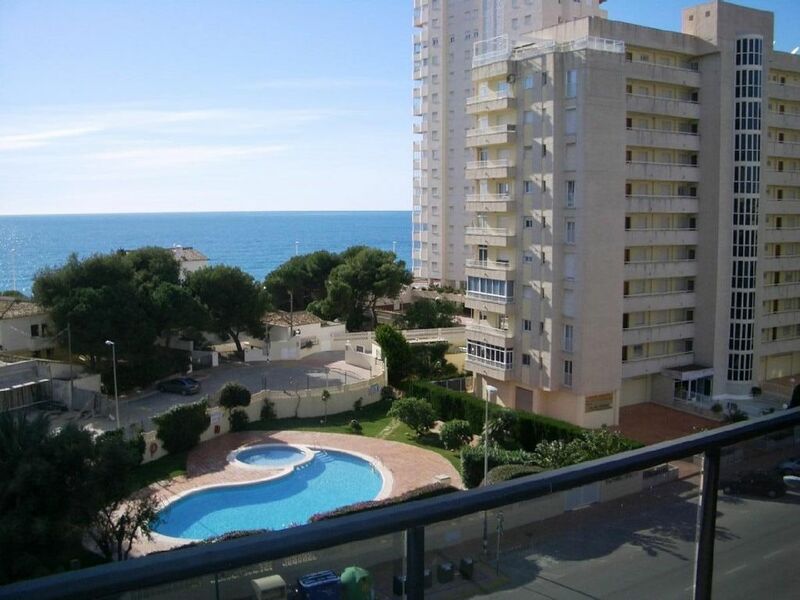 Our lovely 2 bedroom luxury apartment is on the 5th floor of a highly select residential block named 'Edifico Morello' situated in a perfect position to access the beaches, marina/port areas, and town of Calpe. The view from the large south facing terrace offers a fantastic vista of the sea, marina, beaches, pool and gardens. Please note that our apartment is not a typical holiday rental with only basic facilities... We've put a lot of thought and work into making our home as comfortable as possible for our guests with lots of little 'extra touches' we feel sure you'll appreciate to make your stay a truly enjoyable experience. Getting Here: Calpe sits in an ideal location on the Costa, easily accessed by the A7 coastal motorway from either Alacante airport (approx 50 min.) or Valencia (approx 90mins). Both airports have regular daily low cost air flights to the UK and mainland Europe airports. A large choice of car rental companies are available at both airports, car hire is advisable to see all that the area has to offer but not essential. We are happy to arrange airport transfers for you if required. There is lots of free parking on the road outside the apartment building. What does Calpe offer? : Calpe has many attractions to ensure even the most discerning of visitor will have a wonderful holiday. There are a wealth of restaurants and bars to satisfy all tastes and budgets many of which are within an easy stroll from the apartment. Calpe's two Blue Flag main beaches, the Cantal Roig and the Playa Arenal are widely known for their fine sand and calm waters, ideal for families. Together with the other two beaches, La Fossa and the Bay of Gasparet Calpe offers many kilometres of excellent swimming and surfing possibilities. Walk to the summit of the Rock of Ifach (marvellous panorama) Nature Park Peñón (Natur-Room with exhibits and audiovisuals) Promenade of the prince (Camino del Mar) Auctions at the Fish Market (Lonja). Entertainment: Whether you want a quiet holiday or a fun-packed one there is something for everyone in and around Calpe. For the young at heart there's the Disney style Terra Mitica theme park at Benidorm, Terra Natura, Aqualandia Water Park, and the Mundomar Exotic Animal and Marine Park. There are Safari Parks at Aitana and Vergel. Visit Waterfalls at Bolulla, Caves at Benidoleig and Canalobre. For superb international shows with dinner the renowned Benidorm Palace and the Casino Mediterráneo at Villajoyosa are not to be missed. Worth taking a drive to are the vineyards and bodegas of the Jalon Valley where you'll get some fantastic wine bargains. There are many surrounding towns within an hours drive, all well worth a visit - Moraira, Altea, Javea, Denia and Benissa are a must - as is the beautifully preserved medieval village of Guadalest up in the mountains. Free parking space in July and August. Calpe is situated along one of the most attractive coasts in Spain known as the Costa Blanca. At the heart of the Costa Blanca within the region of Valencia Calpe is a large, but traditional Spanish town that boasts many excellent shops, beaches, restaurants and bars. Calpe is dominated by the towering rock of Ifach which reaches to an impressive 332m and is now a nature reserve. From here, magnificent panoramic views can be had and on a clear day you can see the island of Ibiza. The town is a perfectly harmonised mixture of old Valencian culture and modern tourist trappings, providing an ideal base from which to explore the local area or enjoy one the many beaches. Calpe alone has four of the most beautiful sandy beaches on the Costa.